A tag that itches, a waistband too tight or funny stiff fabric – there’s no denying the importance of comfortable pyjamas to get a good night’s rest. Click on through to reveal our top 10 Babyology sleepwear finds! Snugglebum pyjamas are nothing short of snuggly. Tops with nice long torsos means no backs or tums get cold and soft arm and leg bands mean nothing rides up in the middle of the night. Made using the softest cotton, Snugglebum pyjamas are available in sizes to fit kids aged from three months to 16 years. Prices start at $40, but if you’re quick, you can nab yourself some sale prices! G.Nancy know a thing or two about kids’ pyjamas. Organic cotton jersey nighties, shorts and longs in the most awesome of prints (hello cat print!) are available for kids aged one to 10 years. There are bargains galore to be had at Cotton On Kids. A perfect slim fit with flat elastic waist band, my own kids loved these jim jams for their fun designs and comfort factor. Priced $30 each, you can even take advantage of Cotton On Kids’ offer of two pairs for $40. Score! 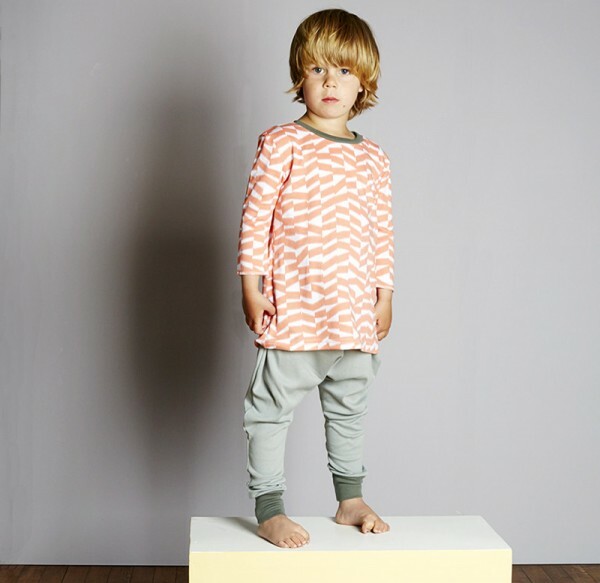 We’ve jumped abroad to UK brand The Bright Co for seriously snug sleepwear. 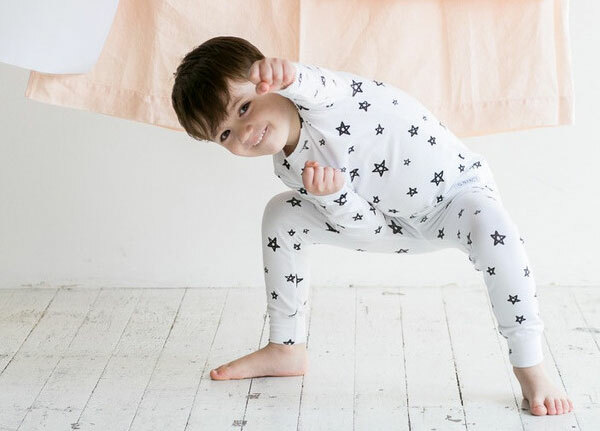 A collection full of unisex baby sleepsuits, ‘slack jyms’ (uber comfy harem style pants) and ‘slim jyms’ (slim fit legging pants) – all in gorgeous printed cotton jersey. Available up to a size 10, prices start at £24. For sleepwear that washes up beautifully every time, look to Eeni Meeni Miini Moh. The slim fit top and leggings design suits both girls and boys and with designs for small kids – and big ones – you can fit out all the kids at once. Priced $50, shop the whole collection at Eeni Meeni Miini Moh. Don’t believe a word when you hear colour is the Achilles heel of sound sleep. 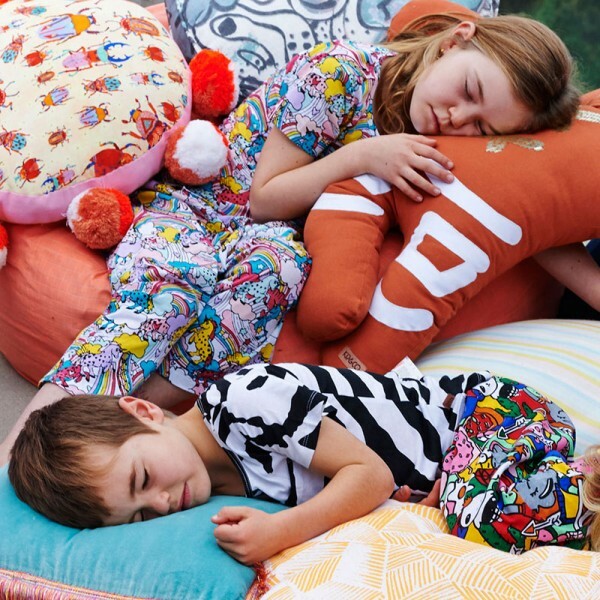 Those who say that have obviously not seen the bright and bold sleepwear from Kip & Co. Made from pure cotton and priced from $29, you can mix and match separates and yes, you can match the kids to their bed linen too (you know you want to). Wanting to get a jump start on stockpiling winter pyjamas? Head to Four In The Bed. 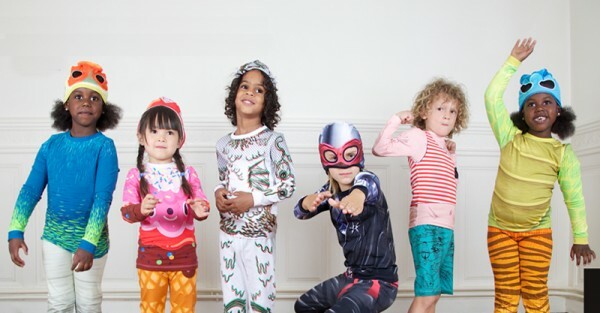 This Aussie brand is launching their biggest winter sleepwear collection yet with something for both young kids and tweens! Prices start from $40 for new season styles. Atticus & Gilda has all your old-world style pyjama needs covered with ribbons, mandarin collars and ruffles aplenty. Bedtime will look like a scene straight from Bedknobs and Broomsticks! 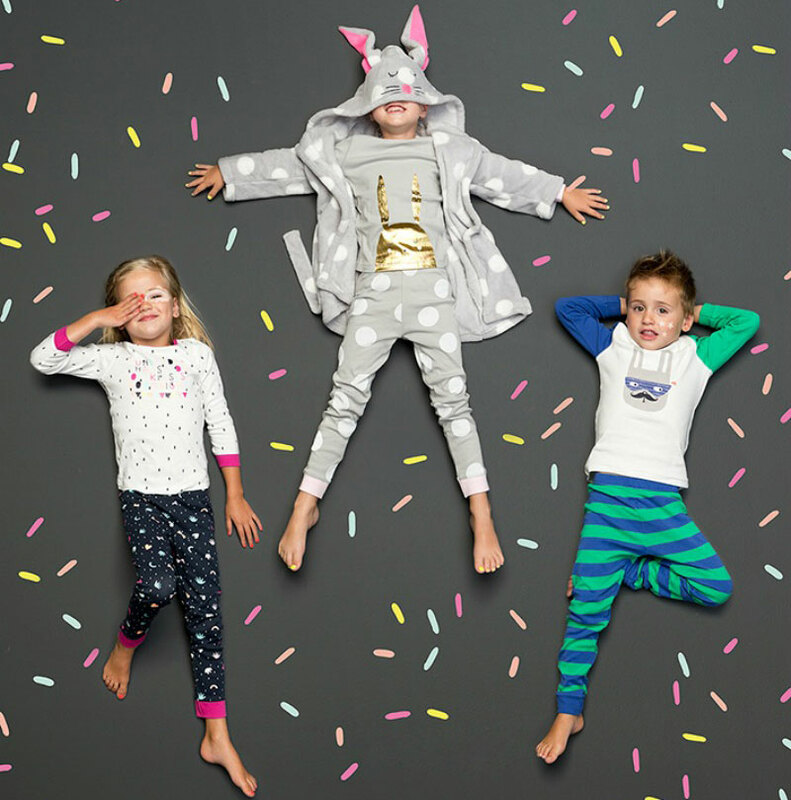 Kid Them All is home to brilliantly kooky, playful sleepwear for kids. The pyjamas come in sizes 2 to 11 and are made from soft, stretchy combed cotton as leggings and long sleeves or shorts and t-shirt sets. Priced €49 a pair, they’re a whole lot of bedtime fun. 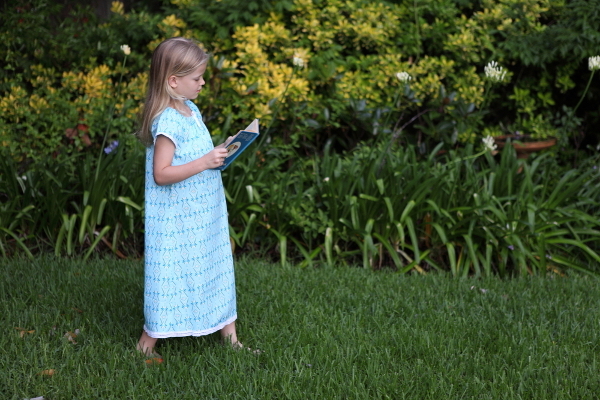 Nightie Night Lane is home to organic cotton sleepwear in easy to wear styles where quality is of the utmost importance. Don’t sleep on making up your mind here, these two Aussie mums sell out fast. And that folks, is our top 10 sleepwear finds. May your little (and big) people be snug as a bug and get some quality sleep!